ray damage that causes over 2 million people annually to be diagnosed with skin cancer in the United States alone. Consumers will enjoy the benefits and peace of mind that this type of protection brings. Protect yourself in your home, car and office. Let's help end skin cancer together! Our team of professionals are highly trained in the latest window tinting techniques. exposure to direct sunlight can cause fatigue, eye strain and loss of concentration. When we install emissivity-insulating film, it can decrease heat loss by 80 percent. Window film not only acts to keep harmful rays out, it also helps to keep heat in. the sun’s heat. That adds up to big savings on your energy bill year round. The rays of the sun have damaging UV rays that can fade everything in their path. your drapes, furniture and carpeting from fading. techniques to add a slicker, upscale look to your car’s appearance. 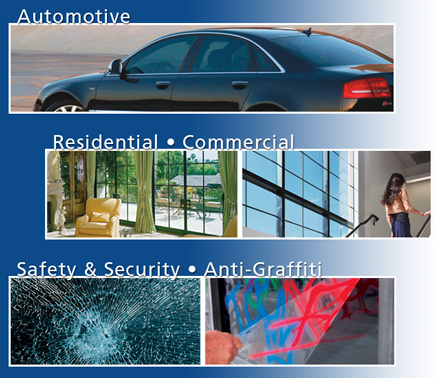 We offer two lifetime warranty and we also have window film with 5 year warranty because we stand behind our work. Contact us today for an estimate or to schedule an installation appointment.